The Yale Assure Lock SL lets you lock and unlock from your iPhone, iPad, Apple Watch, or by just asking Siri—thanks to the HomeKit-enabled iM1 network module. Manage pin codes to share with people you trust, see current lock status, lock/unlock, and customize automations and scenes all from your Apple Home app and Yale Secure app. Manage the lock from anywhere when you have an Apple TV, iPad, or HomePod set up as a home hub. For those times when you don't have your iPhone handy, you can simply type in your 4- to 8-digit pin code on the touchscreen keypad to unlock and tap to lock the door behind you. This sleek deadbolt is tamper-proof because it has no key hole to pick and no keys to lose. Don't worry about getting locked out due to dead batteries, the lock and app will alert you when batteries are low and the lock can be temporarily charged using a 9V battery from outside in case of emergencies. Does this lock work with Nest with Nest Connect? While I cannot be 100% certain, I can say I am pretty sure it does not include installation. Perhaps While I cannot be 100% certain, I can say I am pretty sure it does not include installation. Perhaps if you bought it through a locksmith it would but there is nothing from stopping you to buy it from Apple and hire a locksmith to install it. 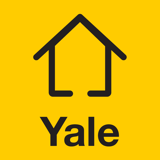 Lock and unlock your home without the hassle of keys using the Yale Secure app and your compatible Assure Lock with iM1. Never worry about lending or losing your house keys again – now, your smartphone is your key. · Lock and unlock your home using your iPhone or Siri. · Create, manage and del ete user PIN codes (up to 25) to share with friends and family. · Receive notifications when someone unlocks your door. · Customize lock settings including auto re-lock. · Ask Siri to lock or unlock your door when you’re at home. · Access from anywhere when used with an Apple TV (4th gen or later) or an iPad running iOS 10.3 or later set up as a home hub. · See current lock battery status and receive alerts for low battery.